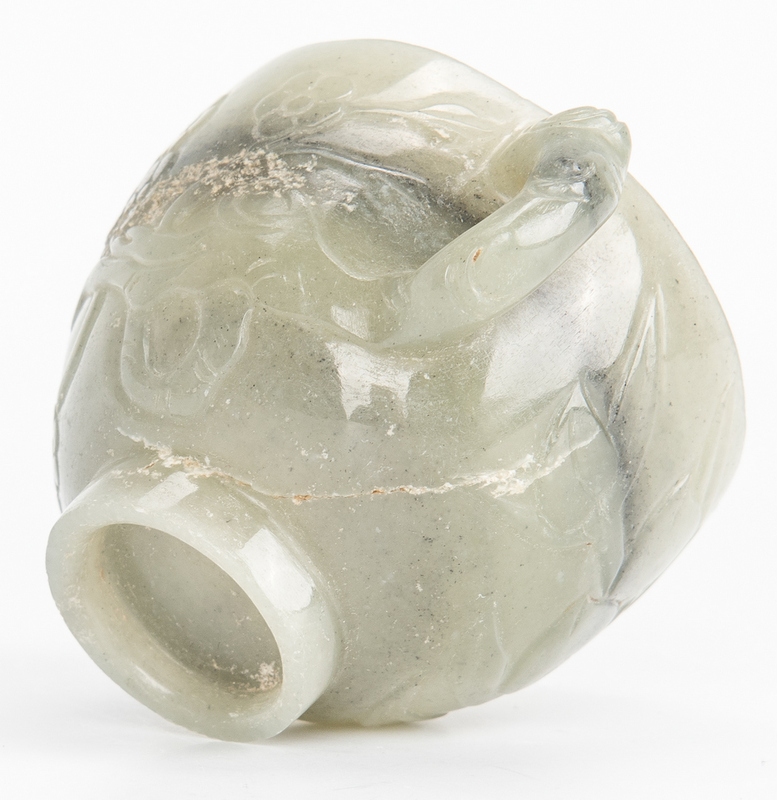 Three (3) Chinese Jade and Archaic Style Hardstone items, including a cup, water dropper and seal. 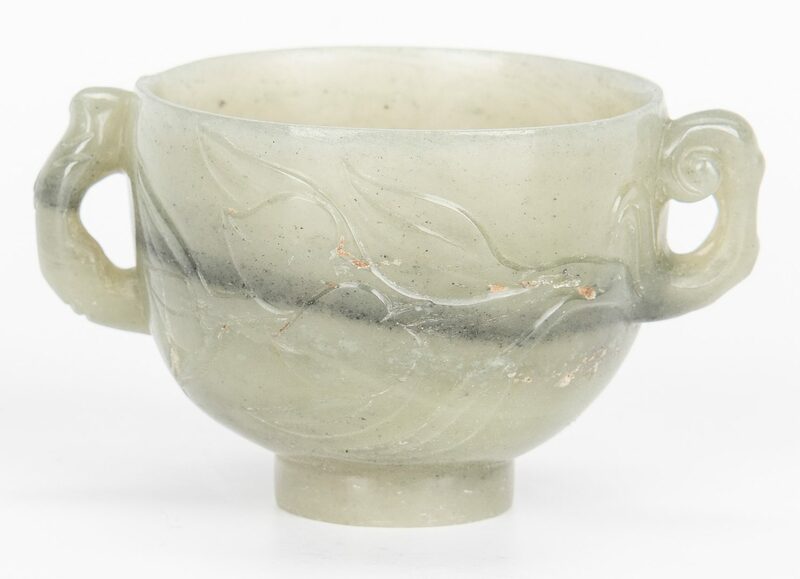 1st item: Ming style footed circular jade cup with two carved branch style handles, extending from a low relief carved peach blossom design that encircles the body of the cup. 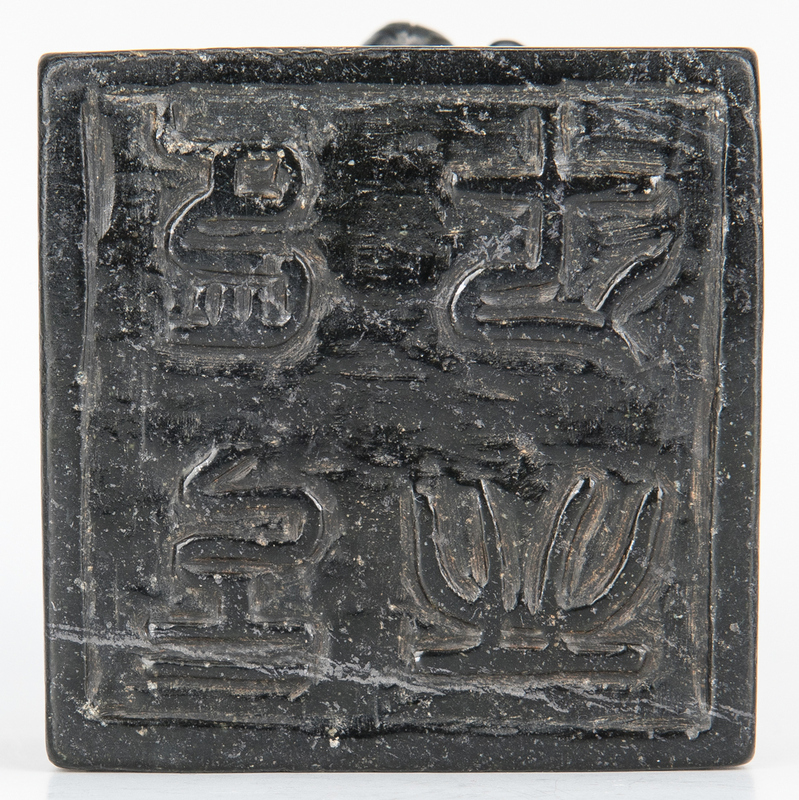 1 1/2" H x 3" W (at handles) x 2" (cup dia.). 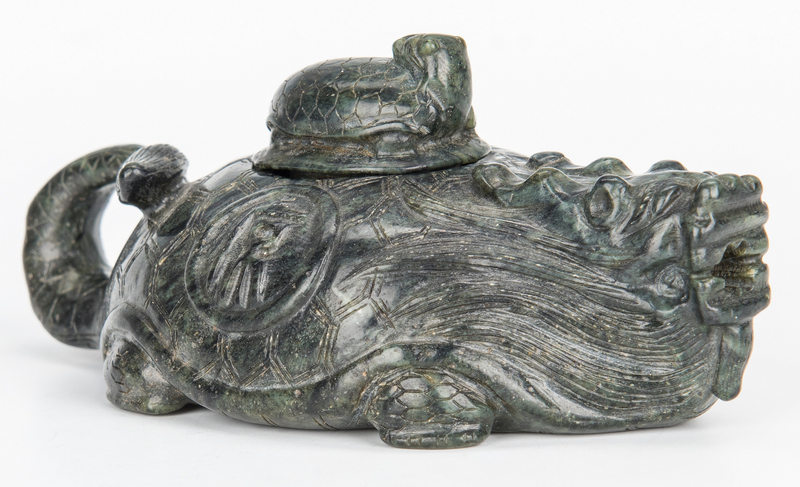 2nd item: Green hardstone, possibly jade(does not scratch), archaic style water dropper in the form of a dragon with a turtle on its back, forming the lid. 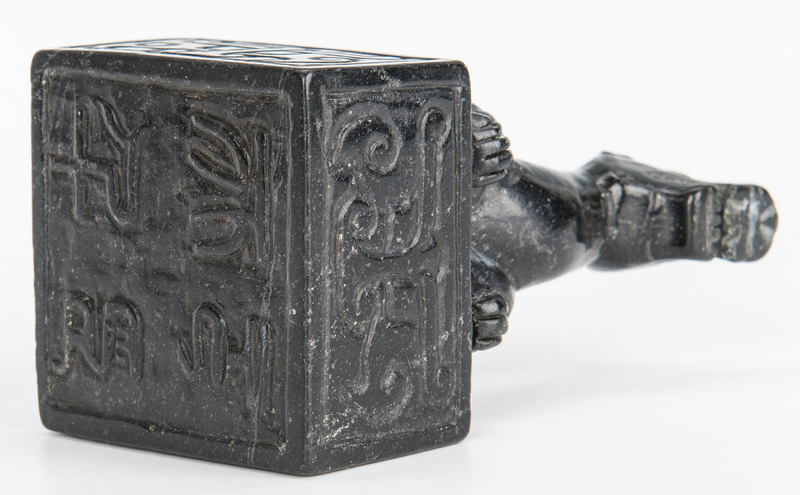 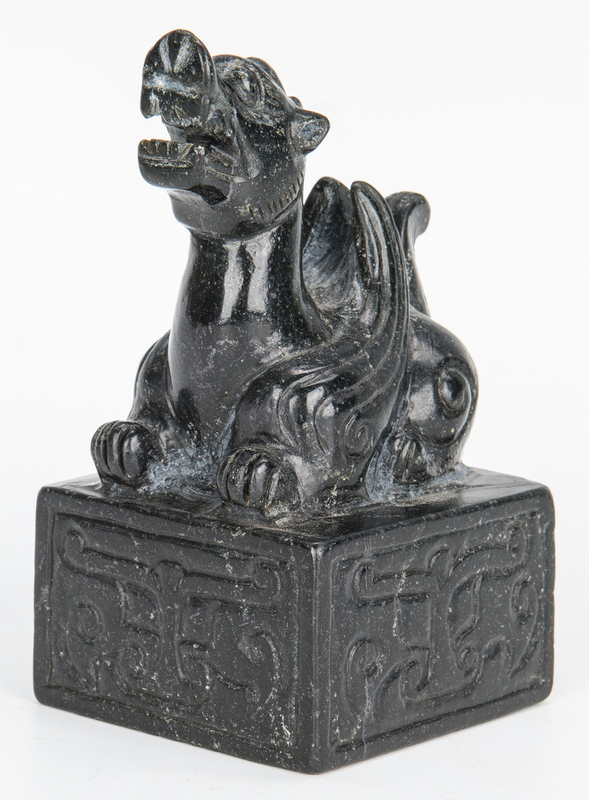 2" H x 5" L. 3rd item: Black hardstone, possibly jade (does not scratch), archaic style seal with dragon figure atop a decorative carved plinth. 4 1/4" H. All items 20th century. 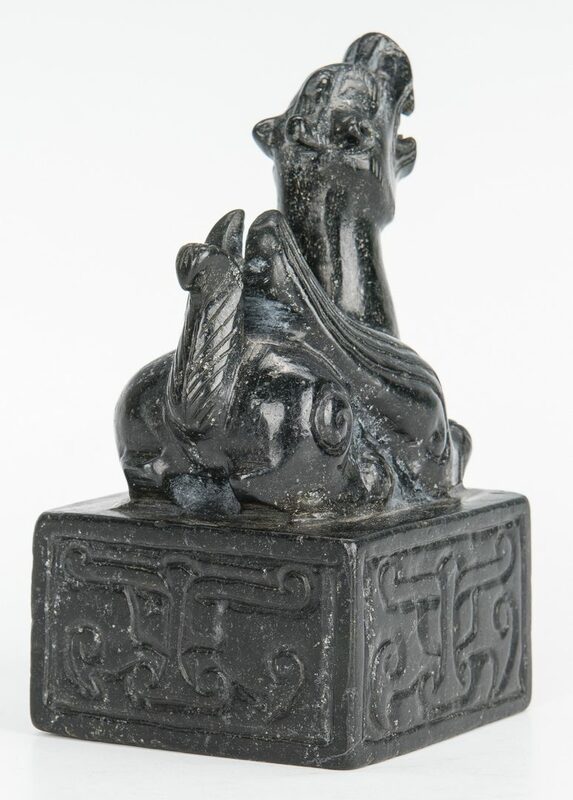 Provenance: Private Huntsville, AL collection. 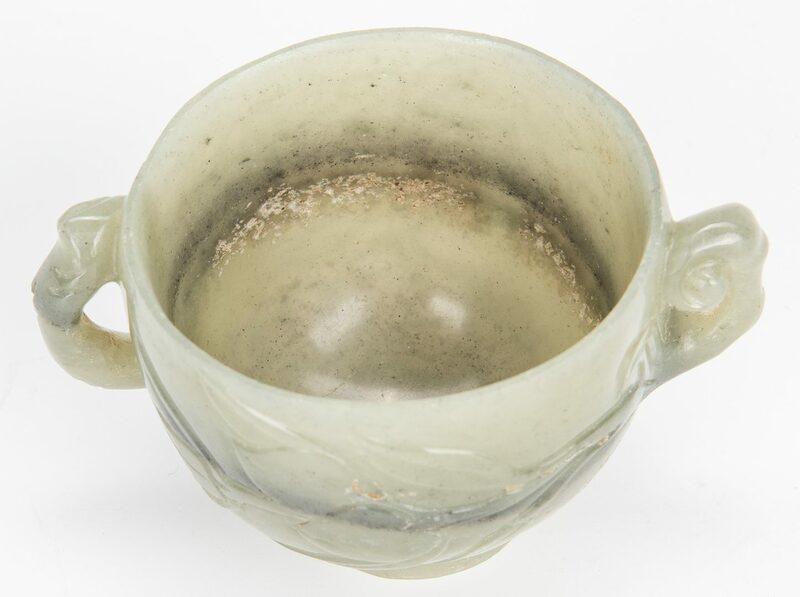 CONDITION: 1st item: Very good condition with a 2" natural fissure extending along the side of the cup. 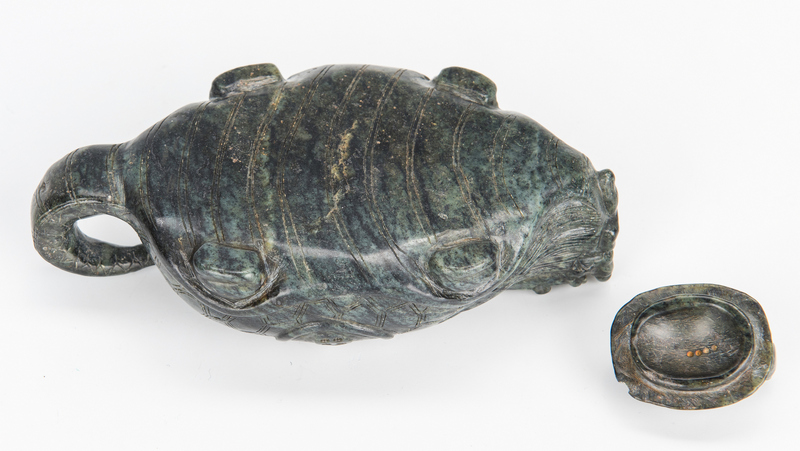 2nd and 3rd items: Very good condition with minor wear.